NO BUSINESS EVER FAILED due to external forces. They fail because success brings unfamiliar problems without instructions on how to handle them. Are you a successful leader frustrated by problems that don’t get fixed; problems that damage morale, alienate prospects, and worry clients? Has your success created friction and aggravation? These are common problems that have real solutions, solutions I know how to help you implement. My clients are talented, confident and successful leaders who know where they want to go and looking for greater profitability, predictability, and alignment. The one thing they all have in common is lack of experience with problems they’ve never had to fix. 40 years of experience and success has proven my ability to achieve these goals. I do it by sharing my knowledge, my tools, and my expertise so you can use them in your business. The result – your business is ready to adapt, evolve, and grow. 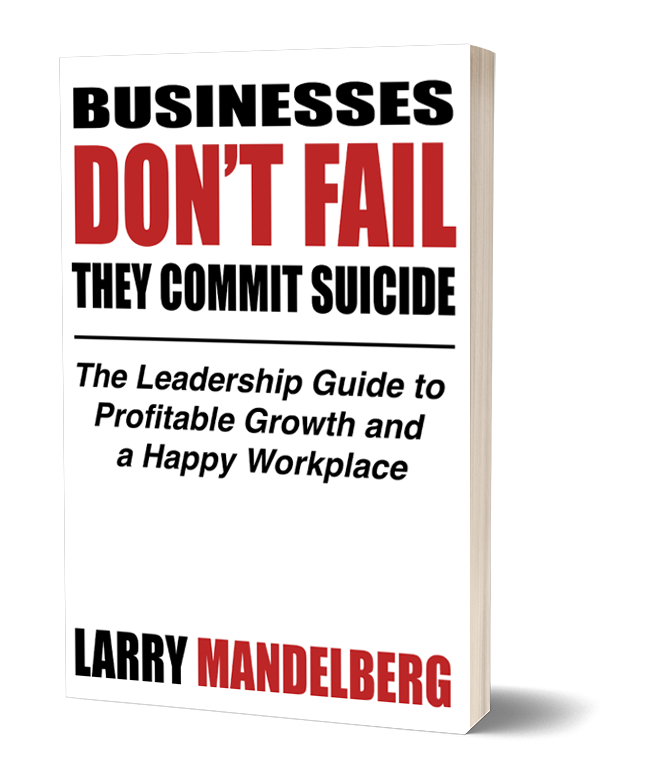 Call 916-798-0600, email larry@mandelberg.biz, or complete a questionnaire and I’ll contact you with free feedback and if appropriate, a follow-up meeting to discuss your specific situation.